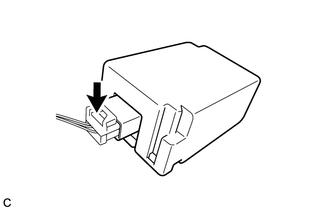 Refer to the procedures up to "Remove roof side inner garnish assembly" (See page ). Removal should be performed only for the left side. 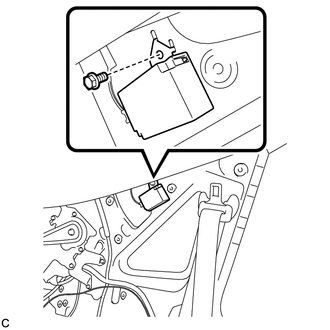 (b) Disconnect the connector to remove the tire pressure warning antenna and receiver. 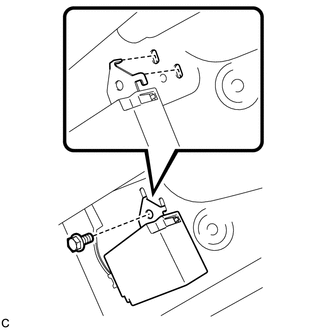 (b) Engage the 2 tabs into the holes as shown in the illustration to install the tire pressure warning antenna and receiver. Refer to the procedures from "Install roof side inner garnish assembly" (See page ). Installation should be performed only for the left side. 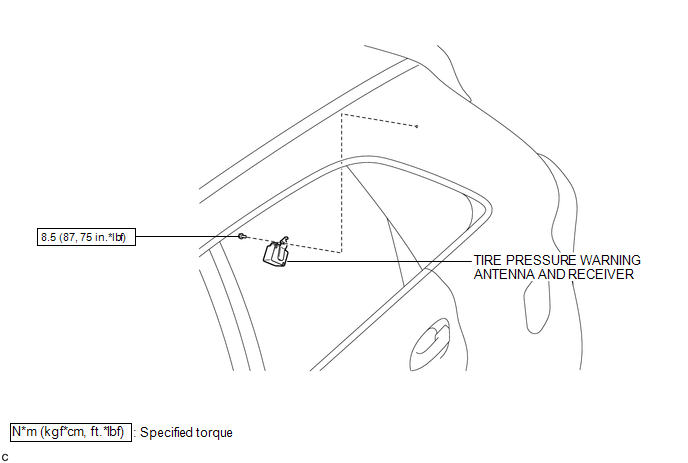 (a) Inspect the tire pressure warning system (See page ).